"Guide to BCBS 239 compliance : Risk data aggregation and risk reporting(RDARR)"
BCBS 239 is a regulation that focuses on a number of issues beyond just risk data and its aggregation. This whitepaper is recommended for decision makers at banks complying with BCBS 239, and looking to explore how outsourcing/engaging third parties can help rationalize costs and mitigate the risk of overspending, as well as use the regulatory delta as a competitive advantage. Why is risk data important ? Scope & Key BCBS 239 Implementation Challenges: Preparedness and potential risks that banks face in implementing 239 guidelines. 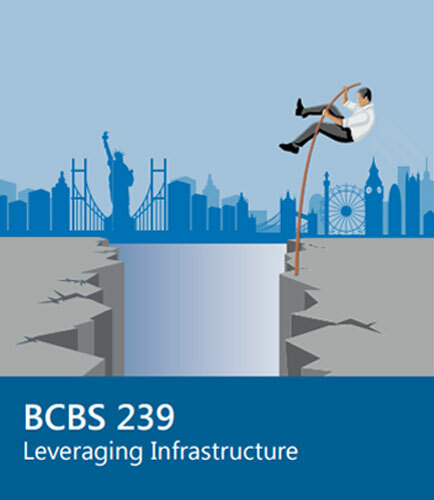 Download this insightful whitepaper that brings you the ways to prepare for BCBS 239 compliance, challenges in effective Risk Data Aggregation and Risk Reporting (RDARR) capabilities.